The desktop on your Linux box used to stand for something very simple. If you were a KDE user, you valued control, power and the ability to customise. In rough terms, if you used Gnome you wanted the desktop to get out of the way so you could get on with using your computer. If you used anything else, such as Xfce, LXDE or TekWM, you were running an ancient machine that would struggle with either of the big two of KDE and Gnome. The change brought about by the release of KDE 4 changed all that. 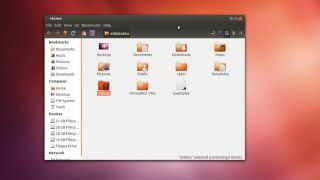 To compete, Gnome threw away its years of solidity for a new way of working; Unity arrived, with similar features to Gnome 3 but with the aim of tempting users away from Mac and Windows. Brave as they were, these designs had much wrong with them, especially in the months following their release. Various products arrived to fill the gap left by the move away from the traditional desktops, some with the idea of refinement (Mint's Gnome Shell extensions and Cinnamon) and others aiming for a return to the old ways. This desktop reformation and counter reformation has brought us to today's situation, and there has never been a better time to survey what's out there and what makes each project. As they're easily the two biggest desktop projects, we've left out Gnome 3 and KDE 4, as well as Unity, but we've included Xfce to represent the more established desktops. We could have installed all of the desktops on the same Ubuntu box, testing them on the same files and applications, but that would have given Unity an unfair advantage. Likewise, Cinnamon and Mate would have had an unfair advantage had we picked a Mint box, as would Trinity and Razor-qt had we tested on Mandriva or another KDE-inflected Linux distribution. So, we installed one distro per desktop. To get a feel for each desktop, we performed a range of tasks, including web browsing, copying files in a file browser and working on virtual desktops. Desktops were rated according to how coherent the experience felt and how easy they were to work with. All our conclusions are subjective. Which desktop has the best suite of tools? The thing that distinguishes a desktop environment from a mere window manager is the suite of applications that it contains. As the longest-established of the desktops we're looking at, you might expect Xfce to have the most complete set of tools, and it acquits itself well, with a native browser, Midori (available as part of the Xfce Goodies bundle), and a media player, Parole, which uses the GStreamer functionality. Xfce also includes a text editor, Mousepad, which is based on Leafpad. Mate, as a fork of Gnome, also has the benefit of years of development. Nautilus (file manager), Gedit (text editor) and Eye of Gnome (image viewer) have been forked and renamed Caja, Pluma and Eye of Mate respectively, and offer identical (and even improved, in the case of Caja) functionality to their Gnome equivalents. The Evince document viewer, Gnome Terminal and File Roller compression tool have also been forked to Mate, giving it a good, functional set of basic tools. While these are the applications that make up Mate officially, in reality every other Gnome app will work on it, so if you use Mate, there will always be an elegant solution to whatever you want to do. Perhaps because of a desire to keep things as light as possible, the developers of Razor-qt don't bundle it with any software other than the bare desktop. They do, however, suggest a list of software that they see as being compatible with the project's aims, to complete a fully-featured Qt desktop.